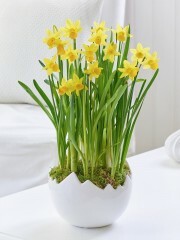 Spring flowers are a seasonal variety of flowers offered by us at Perth flowers including the freshest spring flowers including daffodils, tulips, bright sunflowers. 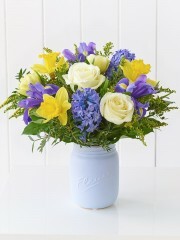 Colours are bright and cheerful: sunny yellows, fuchsia pink and lovely lilacs to create a spring combination that make a lovely present for someone special. 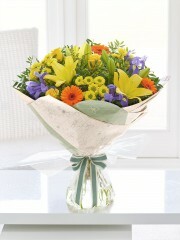 Whether it’s a spontaneous surprise, someone’s birthday or a get well soon occasion a spring bouquet from Perth flowers would be ideal. 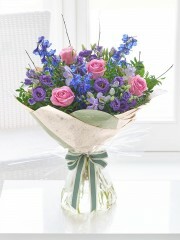 Perth florist can arrange for your flowers to be delivered whenever you like, even as soon as the same day! 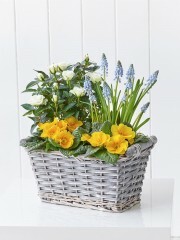 We can add in any of our gift options from delivering chocolates, champagne, wine or teddies to add to your flowers. 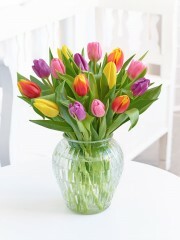 Spring a a fantastic time of year and a season of joy, so celebrate it with a delightful bunch of flowers and brighten someone’s day regardless of the weather in Perth, if it’s a sunny day or not. 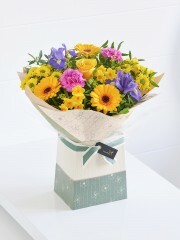 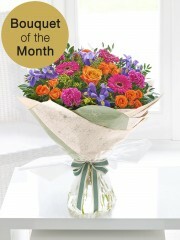 Our spring flower bouquets have proven to be very popular amongst our customers at Perth flowers. 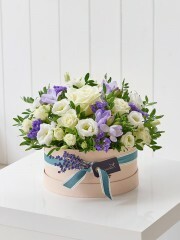 Should you have any questions don’t hesitate to call or email us at Perth flowers and one of our happy and experienced team will be able to help and provide the information you are looking for.